Deli... cious value. 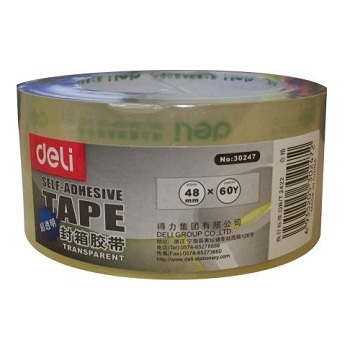 High quality, everyday use packing tape. 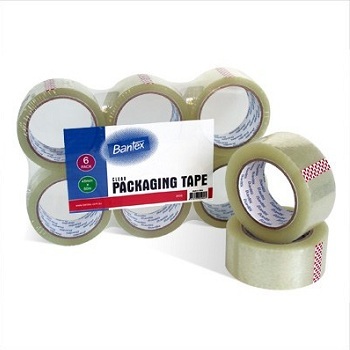 Size - 48 mm x 55m clear packaging tape. 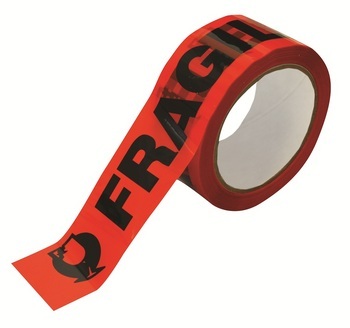 High performance, super thick, super strong 50 micron Clear tape is ideal for heavyweight carton sealing. Made from environmentally friendly polypropylene. Acrylic adhesive is suitable for use in a wide range of temperatures from -10'C to +100'C. Acrylic adhesive once applied is water resistant. Pack of 6 Clear tape rolls. Available in a choice of sizes. 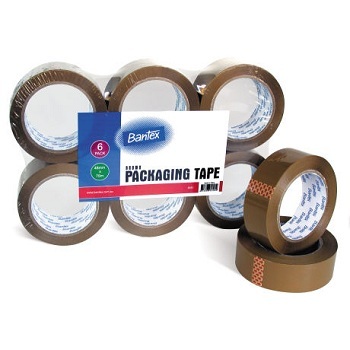 High performance, super thick, super strong 50 micron Brown tape is ideal for heavyweight carton sealing. Pack of 6 Brown tape rolls. Available in a choice of sizes. 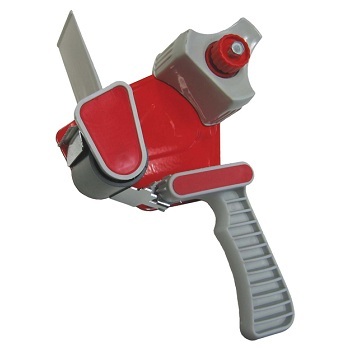 Pistol Grip tape dispenser with plastic smoothing flap, plastic hand grip and serrated blade. Metal and high inpact construction for durable, long-life performance. 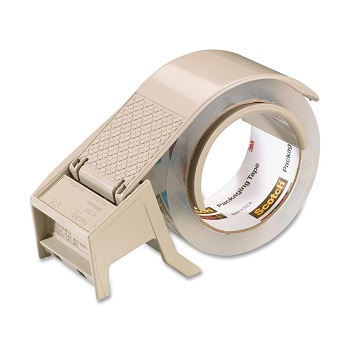 Adjustable tape tension on supply drum. Designed to withstand warehouse workload and conditions. Seals packages quietly and easily. 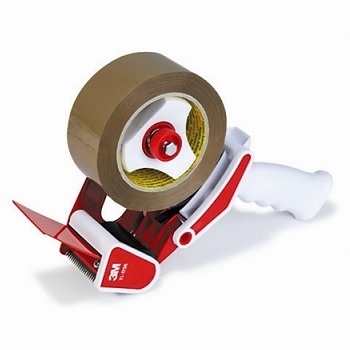 Sturdy, easy-to-use, pistol grip tape dispenser makes it easy to apply box packaging tape. 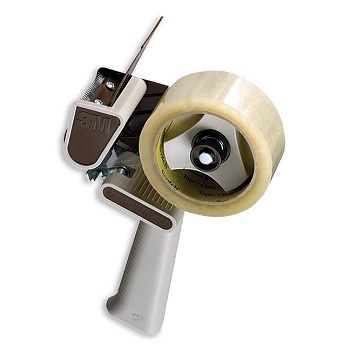 Features an adjustable braking mechanism that applies tension to tape and a non-retractable blade. 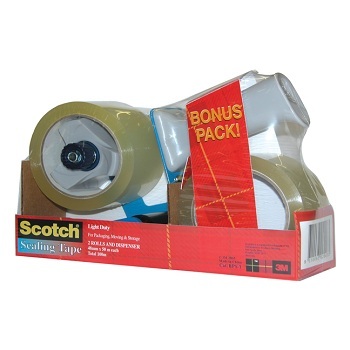 Pack includes H-180 dispenser and 2 x BONUS rolls of Scotch 3750 commercial grade clear tape. 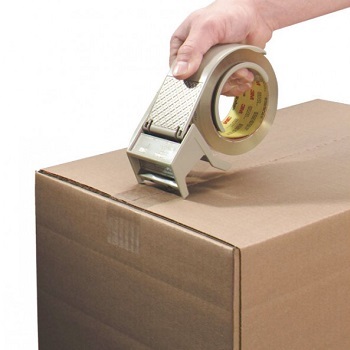 The Scotch® H-122 Tape Dispenser is ideal for box sealing. 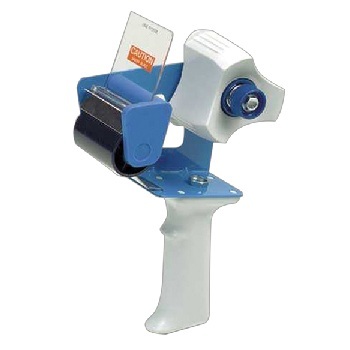 Lightweight, compact, hand-held dispenser with built-in brake for tighter, more precise seals. 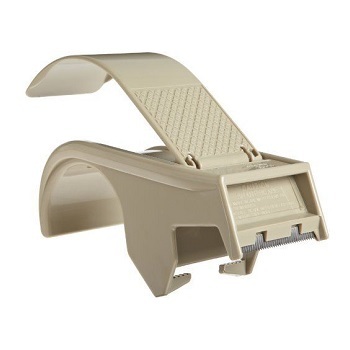 Constructed from high-impact plastic for durability and long life performance.